Alright. We're not going to tell you what to do. 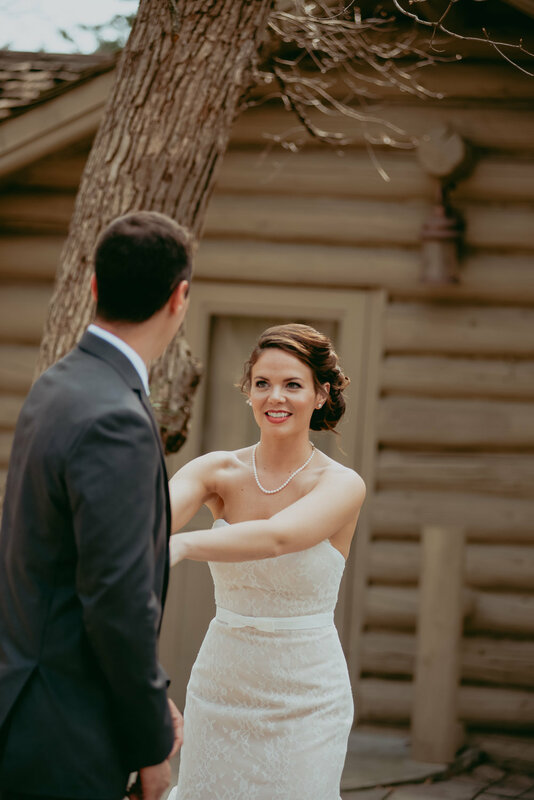 But every bride who has ever done a first look tell us that was her favorite part of the day. 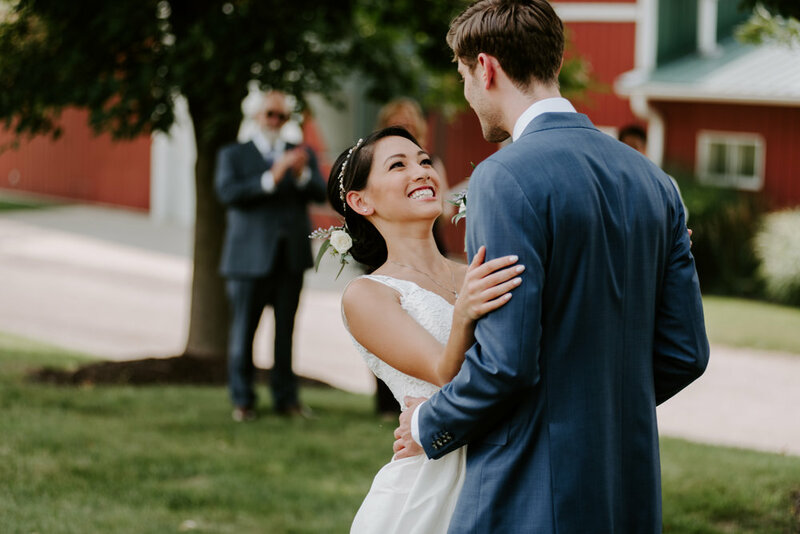 I've actually had several brides tell me they wanted to write a testimonial on why you should do a first look so I could include it on this page — they loved it THAT much. We’re not even going to send subtle hints. We’re going to send rather strong hints. But we’ll love you no matter what. 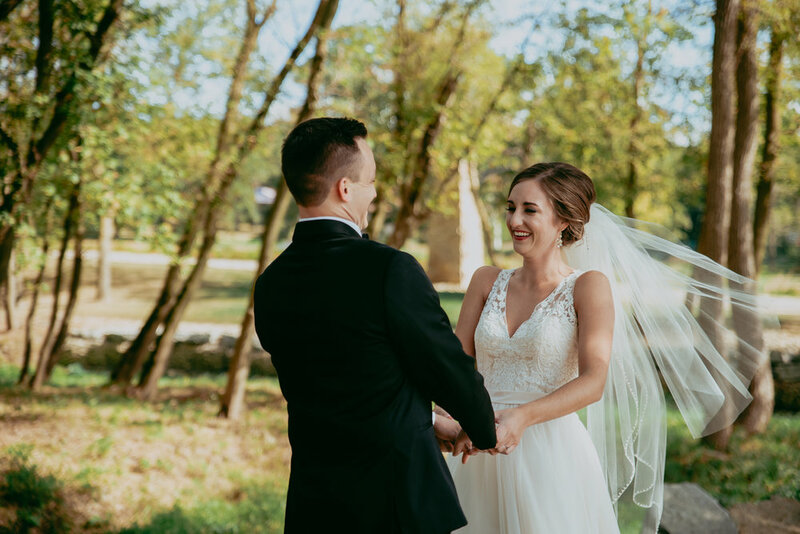 Our job here is to merely lay out the facts based on our experiences and those of our brides, because this is the most common question we get from our couples. TIME. A First Look allows so much extra time to get creative bridal party photos and even travel to other locations if desired. 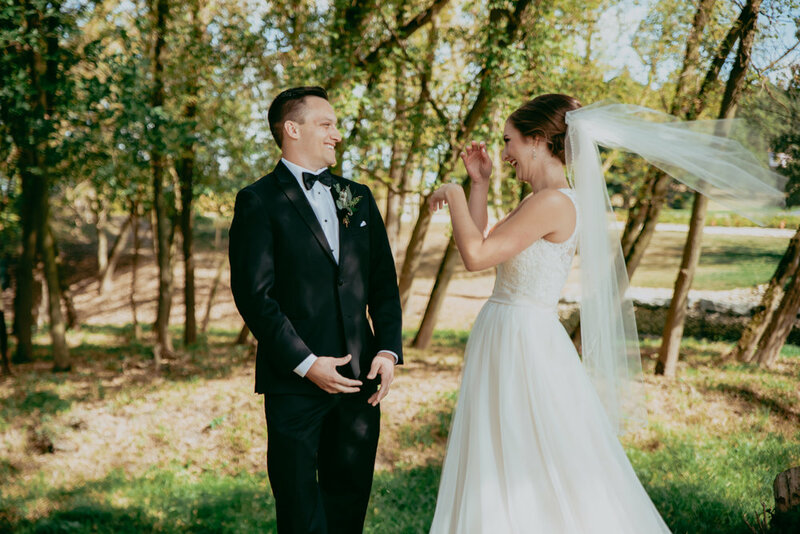 Traditional weddings only allow for an hour or two before the reception to squeeze in formal family photos, couple portraits, and bridal party photos. This is a very rushed situation resulting in mostly posed photos, with not as many candid or fun ones in varying spots. EMOTION. I cannot count how many times I’ve heard, “Nobody make me tear up! I don’t want to be a mess down the aisle!” And honestly, who wants a bajillion people staring at them making the ugly cry? So, the tendency is to hold in emotion. If you want to know the truth - we've had maybe one groom out of all our weddings that actually had a reaction in the ceremony. 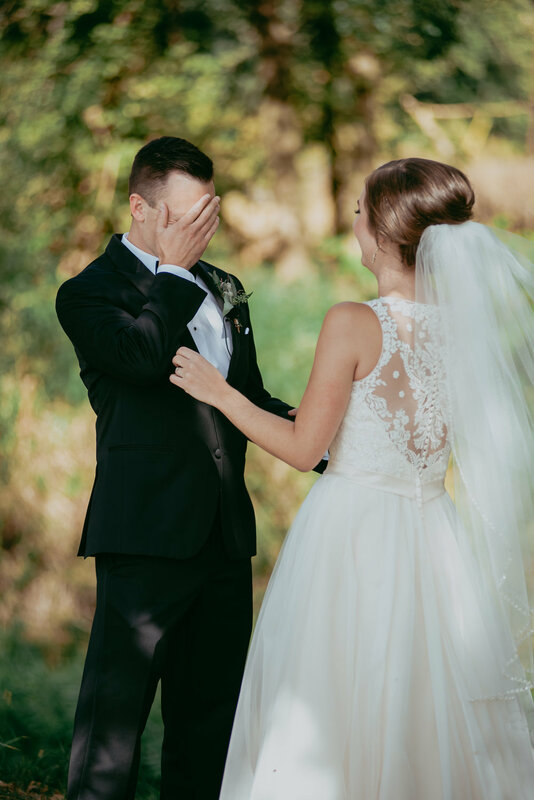 The most emotional photos are always the result of a First Look. It's a private moment between the two of you so you can cry, laugh, chat, and soak everything in, all while we’re taking some rockin’ pictures. Then, we retouch the makeup and everything is golden. ANXIETY. Hands down, the biggest benefit that comes from a First Look is how much calmer everyone feels for the rest of the day. It’s like a magical nerve-vanishing potion. The pictures are done. There is no worrying about keeping the bride & groom apart. The most emotional aspect is over, and the couple gets to spend the day together being relaxed, instead of stressed and apart.